PCECD Castlevania: Rondo of Blood (JPN) "100%" in 38:26.12 by adelikat & arukAdo. 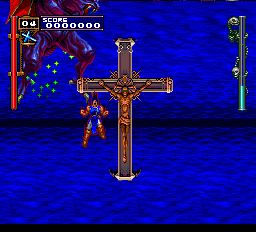 Contrary to the other Rondo of Blood TASes on the site, this one not only goes through the hurdles of saving three useless villagers from their prisons (with some of said prisons even resembling their regular habitats), but also plays through all the picturesque levels just to prove that Maria isn't really a suboptimal character. No videogame character fighting dark priests by stoning them to death with small white birds should ever be called suboptimal. If you want to see a shorter run through the game, we suggest watching these: Richter any% in 23:18, Maria any% in 24:22.